Momotaro Sacred Sailors played a part in setting the stage for the rise of anime. 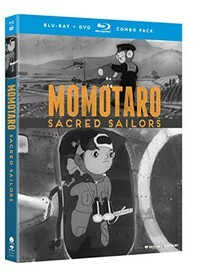 Momotaro, Sacred Sailors was Japan's first feature-length animated film. A notable accomplishment for its time, the project was funded by the Navy Ministry of Japan during World War II. Along with another early masterpiece, Spider and Tulip, these films are preserved as milestones of the industry and historical artifacts of the war.